With the recent proliferation of condominium foreclosures and owners becoming delinquent in their monthly assessments, many South Florida condominium associations are experiencing difficulties in paying their bills and have thus considered the bankruptcy option. While it’s not the norm for condominium associations to file Chapter 11 bankruptcy, it is a recourse that has increased in the past several years, particularly in overbuilt markets such as Miami and throughout South Florida. The point at which associations begin considering bankruptcy relief is when the remaining owners in the community are forced to cover far more than their proportionate share of the assessments, resulting in even more owners falling delinquent. As a result, lawyers who focus on bankruptcy matters for condominium associations and homeowners associations have become an invaluable resource for these community associations that had traditionally been able maintain solvency and avoid bankruptcy filings. One of the first such filings for a major Miami condominium association came in June of 2009 when the association for the 502-unit Maison Grande in Miami Beach filed a Chapter 11 petition. Others soon followed, as new properties were completed but the majority of their units remained unsold. Developers also began filing bankruptcies due to the state of the market, and now a number of properties are being turned over to their lenders as a result of these bankruptcy filings by insolvent developers. These include the Everglades on the Bay condominium and ICON Brickell in downtown Miami, and the Terrazas River Park and Village near Miami International Airport. For the community associations for these and scores of other financially troubled properties throughout South Florida, it is imperative to work very closely with highly experienced attorneys who concentrate on bankruptcy issues. The community associations must consider the following: while associations are seeking mechanisms to test the bankruptcy laws, at first glance, it appears that Chapter 11 bankruptcy may not be available because associations are pass-through vehicles and not property owners. Difficulties arise for an association seeking bankruptcy relief, as typically an association does not generally find itself in a position where its liabilities exceed its assets, especially with its power to levy a special assessment in order to satisfy its debt. 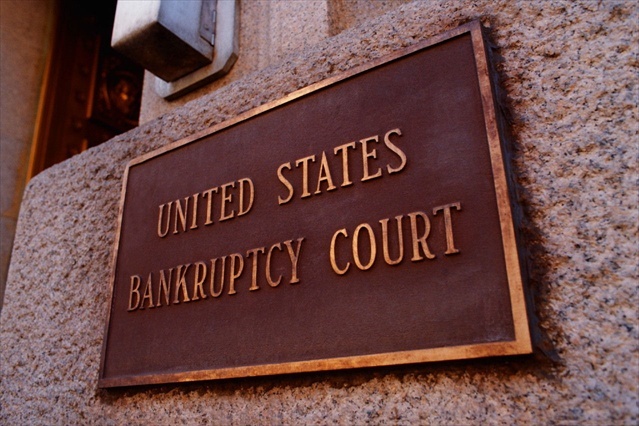 Bankruptcy is a costly endeavor and should be used as a last resort, given that the courts are inclined to review an association bankruptcy filing as dilatory and often disallow the filing. Corporations need an exit strategy in Chapter 11 bankruptcy, and it is presently unclear how an association having trouble covering basic monthly services could reorganize. Generally, associations have nothing to “sell off” in a bankruptcy reorganization plan, except common areas such as a lobby or a recreational facility. Therefore, the “jury is still out” with respect to whether bankruptcy could benefit an association, as the association’s assets consist of the property’s common arrears and its ability to assess individual unit owners. Associations may be better off negotiating with their creditors and achieving an out-of-court restructuring plan. As with other South Florida law firms that focus on representing condominium associations and homeowners associations, our firm is working very closely with several community associations to help them to explore their options involving bankruptcy filings. I have focused on guiding both debtors and creditors through bankruptcy proceedings for much of my 20-year legal career in South Florida, and my experience has proven to be an important resource for many of our community association clients.